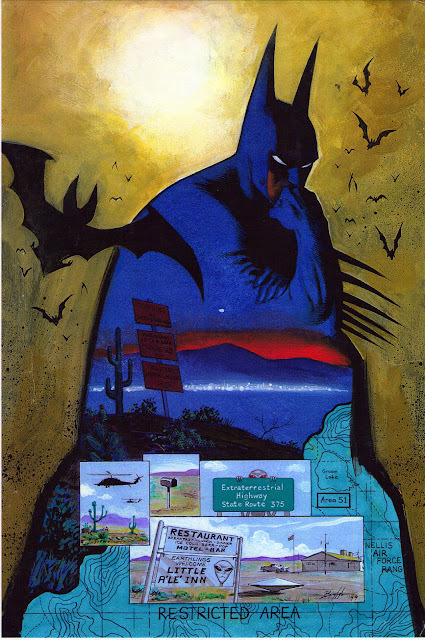 Norm Breyfogle was more than just a comic book artist to me. He was a friend. A very close friend, and one whose friendship I cherished above others. 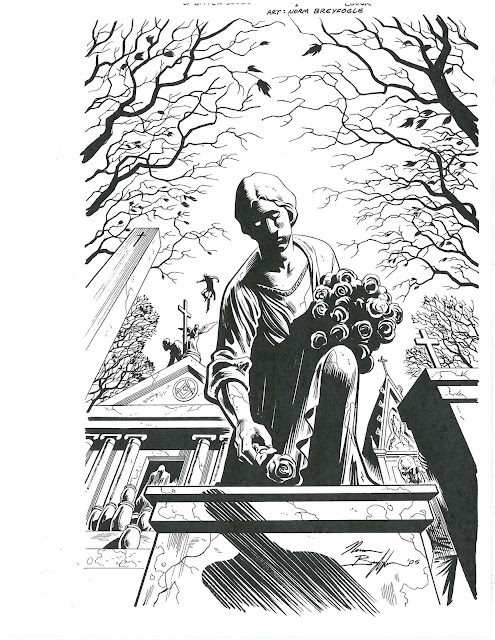 It's now common knowledge that Norm Breyfogle passed away on Monday, 24 September. His passing leaves a large void in the comic book world, and the outpouring of genuine grief and sorrow would have amazed him. But he'd have been quietly happy with it all. Right now his funeral details haven't been locked down, but you can send a message of tribute via the Erickson Crowley Peterson Funeral Home. On a personal level, this loss is devastating for me. Norm was like a brother to me, and I'm not saying that lightly. Right now my emotions are all over the place, but I will write down my own personal tribute Norm very soon. 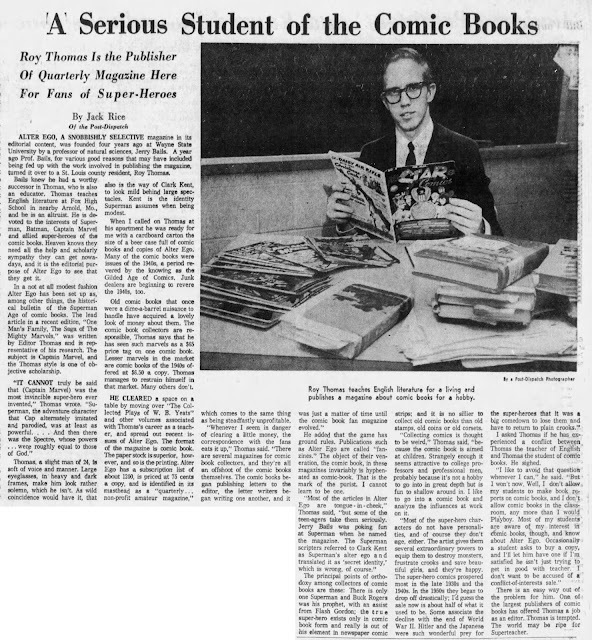 Another gem from the vaults, this time a little article about Roy Thomas from fifty three years ago. This one comes from the St Louis Post Dispatch, which was Roy's local newspaper, and is dated Monday, May 17 1966. The article covers Roy's involvement in the fanzine, Alter Ego, while he was teaching English Literature at Fox High School in Arnold, Missouri. Roy had just taken over the publishing of the magazine from the legendary Dr Jerry Bails, and was running with it. Of interest is that, in the last paragraph, there's mention of an offer that Roy had just received an offer to become an editor for a comic book company. That company was none other than DC Comics. One month later Roy had visited, been hired by Mort Weisinger, quit and was working for Marvel Comics. 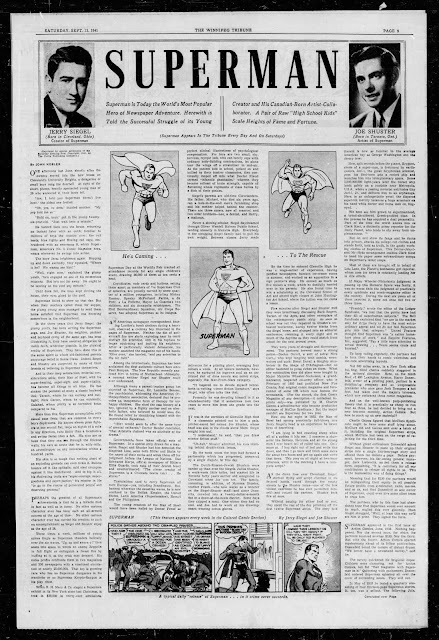 It should come as no surprise to anyone that I've kept up an active interest in both Jerry Siegel and Joe Shuster since the long running court case over the ownership of Superman. That case is now long finished and belongs to the ages, but my interest still runs high, and, I believe this is rightly so. After all the pair did create the most iconic of all superheroes, Superman, along with a lot of the associated characters and mythos that are still in use today by DC Comics.